Galaxy Note 8 Officially Teased by Samsung - Playfuldroid! Samsung is speculated to debut the Galaxy Note 8 on Aug. 23. As the launch date is getting closer, the rumor mill has been consistently revealing leaked images of the upcoming flagship phablet from Samsung. This time around, Samsung has teased an image of a phablet that appears similar to the Galaxy Note 8 that have appeared in leaked photos. The below image has appeared in one of the marketing teasers of the Samsung Exynos 9 chipset. 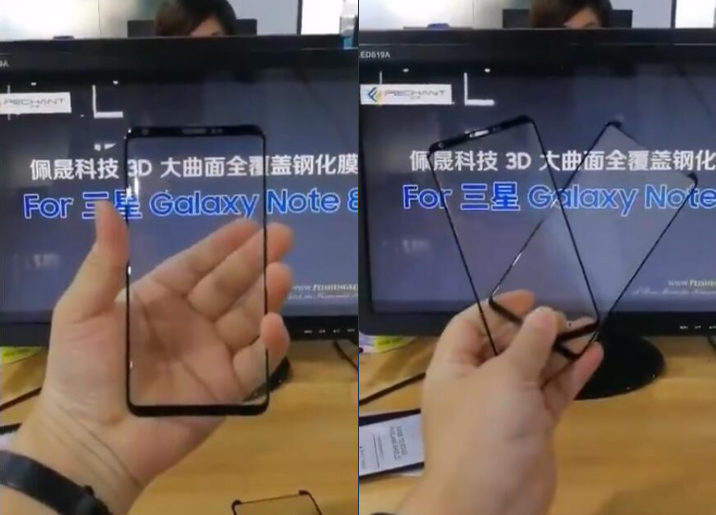 The image shows a smartphone with a huge screen that is coupled with ultra-thin bezels on the sides. The Samsung Galaxy S8 does not look like the phone shown in the above image. In fact, the front panel of the Galaxy Note 8 that has appeared in leaked photos resembles with the above image to some extent. Rumors have it that the Samsung Galaxy Note 8 will be gracing an Infinity Display of 6.3 inches. The Galaxy S8+ has an Infinity display of 6.2 inches. It is expected to support Quad HD+ resolution of 2,960 x 1,440 pixels. However, some other rumors hint that it would be supporting UHD 4K resolution. What do you think about the above image? Share your thoughts by commenting below. Is this the upcoming Samsung Galaxy J7 (2017)?